Pursuing a Home Equity Conversion Mortgage (HECM, commonly referred to as a reverse mortgage loan) is a big decision. 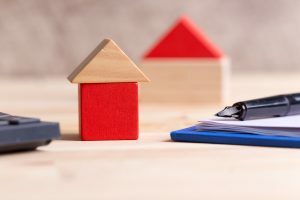 While it allows you to convert your home’s equity into non-taxable cash that you can use to supplement your retirement income, “borrowers must continue to pay for property taxes”, you may be wondering what types of protections are in place for you, the borrower. The great news is that reverse mortgage loans are well-regulated by the federal government and include consumer protections to help put your mind at ease. Here are six protections that will increase your confidence in the financial stability and safeguards of a reverse mortgage loan. ￼As a borrower, you will never have to pay the lender more than the amount borrowed or the current value of the home, whichever is less. Should the loan balance grow greater than the value of the home, the Federal Housing Administration (FHA) will pay the difference when it is time for repayment. Additionally, the lender may not seek any assets from you or your heirs other than the home to repay the loan and home maintenance costs. To protect against the prospect of default and foreclosure, the Federal Housing Administration (FHA) requires you to work with your lender to examine your income and expenses before pursuing a HECM loan. This step serves to help you make a careful decision about whether the reverse mortgage loan will be an effective part of your retirement planning strategy, ensuring that you will be financially able to meet your responsibilities with the reverse mortgage loan, including paying property taxes and home insurance. Federal law requires that reverse mortgage loan borrowers meet with a third-party counselor that has been trained and approved by the Department of Housing and Urban Development (HUD) for an unbiased look at the pros and cons of borrowing. They will explain how reverse mortgages work including payment, costs, taxes, advantages, your obligations, and any potential drawbacks—all of the information you need to make an informed decision. Once you complete the session, you will receive a certificate that will become a part of your loan application. Another provision for protecting borrowers is the right of rescission—or the ability to cancel your reverse mortgage loan. Federal law allows you three days to cancel most types of HECM loans after they close. 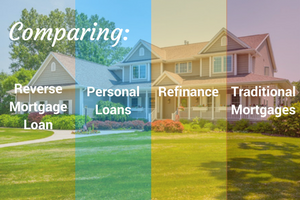 Your lender will explain the option and process at your loan closing, including who to contact and how to best reach them. Right of rescission does not apply to HECM for Purchase transactions. ￼Perhaps you are concerned about what will happen to your non-borrowing spouse in the event of your death. Fortunately, in 2014, HUD made additional provisions for the eligible non-borrowing spouses of borrowers, to protect them in such a case. After your passing, your spouse may remain in the home, continuing to defer loan repayment, as long as all loan and FHA requirements continue to be met, including maintenance of the home and payment of all property taxes, fees, and homeowner’s insurance. ￼To help you make your money last longer and contribute to your long-term financial security, under the most common payout scenario, you will only be able to access 60% of your approved loan amount for the first year after closing. Your lender will use a formula that calculates the age of the youngest borrower or eligible non-borrowing spouse, interest rate, and lesser of home value or HECM lending limit to determine the initial principal limit. Any additional loan money must be used to pay off your existing mortgage or make those repairs deemed necessary by the lender. After the first year, you will be able to access to the remaining loan amount. As you can see, today’s reverse mortgage loans are well-regulated and provide extensive consumer protections to help seniors like you enjoy their golden years by eliminating many of the financial concerns you could face in retirement. These loans offer numerous advantages for those who wish to enjoy financial independence, so take the time to talk to a lender and determine if a reverse mortgage loan is right for you! Which Mortgage Loan is Right for You?